The government is abandoning unemployed, sick and disabled people, and putting hundreds of jobs at risk, by confirming today the closure of almost one in 10 jobcentres. The news comes as we announce our members in Eastern Avenue jobcentre in Sheffield, one of the threatened sites, will strike again from 17 to 21 July following a week-long walkout in June. The Department for Work and Pensions has announced just six of the original 78 jobcentres earmarked for closure will remain open, and only 11 of the 80 planned to co-locate with local authorities have been given a reprieve – and in most cases because of a lack of space in council buildings. Two jobcentres that were to stay open have been added to the closure list. We are calling on DWP to immediately publish the equality analyses it carried out for each site closure. Currently these are being kept secret. Two ‘back of house’ offices have also been saved, but at other sites closures mean compulsory redundancies are highly likely. Redundancies are also likely from planned corporate centre office closures, as staff will not be able to relocate. Our general secretary Mark Serwotka said: “While we are pleased a handful of threatened sites will now stay open, thanks to the hard work of our members, community groups and local MPs, it is utterly disgraceful that DWP is pressing ahead with these closures. Unite Barts NHS Trust workers step up strikes against low-pay this week with 7 days of action read more. Send messages of support to Unite branch secretary Len Hockey leonardhockey789@hotmail.co.uk. We still got quite a lot of spaces available on coaches from Liverpool/Birkenhead and from Greater Manchester. Can you please promote as much as you can today and tomorrow with your networks, Trade unions or not? Whether it is by email or social media, I would be grateful if you can help us to fill the coaches! Option of free or cheap tickets available. Please include links to coaches in the core of email is possible? Did Undercover Police Target Grenfell Residents Who Raised Fears About Safety? Protest in solidarity with great comrade of the Blacklist Support Group Bob Carnegie over Lendlease. 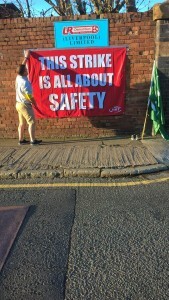 Special mention to BSG member Keith Dobie in coordinating last weeks demonstration against Haringey Council regarding their partnership with the rogue company. There was a protest outside Housing conference in Manchester Central (GMEX) on Thursday 29th June when the Mears CEO was speaking. Maintenance workers, employed by Mears and working on social housing in Manchester, are in the middle of 12 weeks of strike action over unequal pay and attacks on terms and conditions. ‘Blacklisted’ book (echoing union activists) describes umbrella payroll companies in the construction industry as a giant scam designed to deny workers basic employment rights and at the same time deprive the tax man of billions in revenue. Now the bosses who orchestrated these schemes are starting to be sent to jail. Calling all blacklisted workers or associates in the Manchester area! MIF are working with the Turner Prize-nominated visual artist Phil Collins on a project for the Manchester International Festival on July 16th. Phil’s project is a very timely examination of current day working practices – minimum wage, zero hours contracts, blacklisting and exploitation. Great result at the Football Supporters Federation AGM on Sunday at the FA National Centre in Burton. 70 Football fan groups voted in favour of boycotting the S*n from their respective clubs. 21st June. Jeremy Corbyn received one of our justice campaigns banner t shirts at a recent Unite Executive Council meeting in Holborn during an impromptu visit. Plenty of BSG members in attendance at an event which garnered record crowds with Jeremy addressing a reported 200,000 supporters. Don’t forget Tolpuddle this weekend. And finally best wishes to brother Dave Smith who is studying hard to get his PHD nailed. I’d also like to thank everyone within the group for campaigning magnificently on behalf of the Labour Party during the election too.